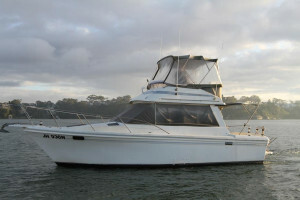 Riviera 32 flybridge powered by twin shaft driven 165hp Volvo diesels. 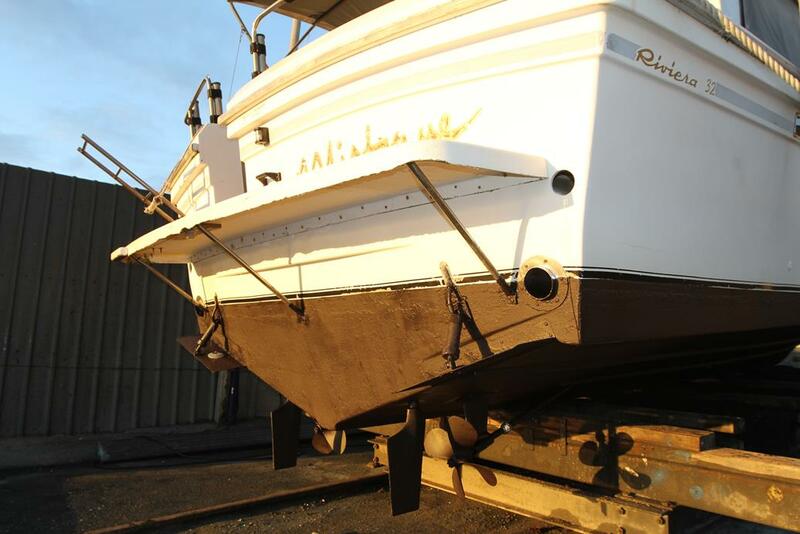 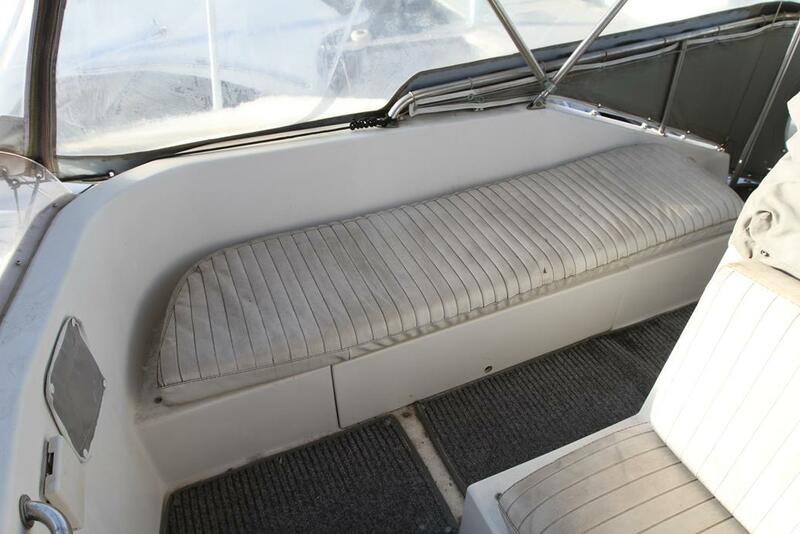 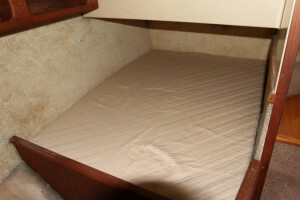 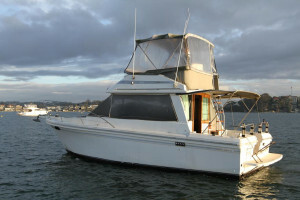 This boat has been owned by its current owner for close to 18 years who has used the boat on a regular basis. 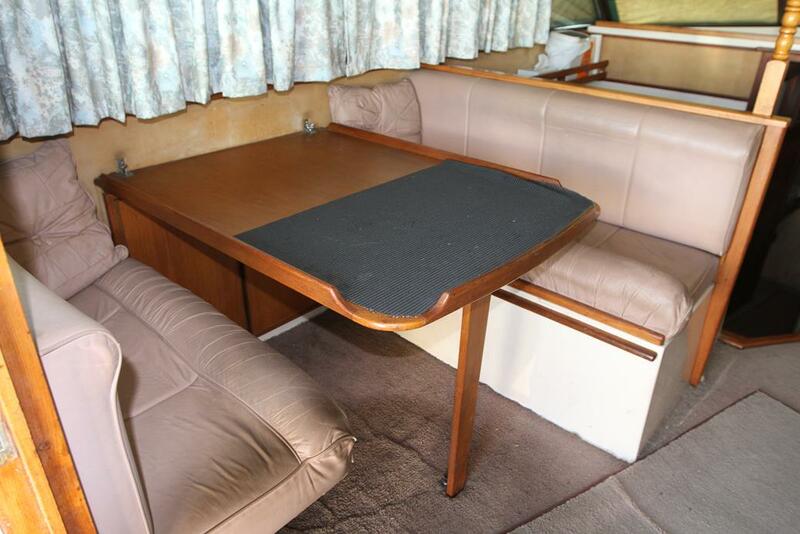 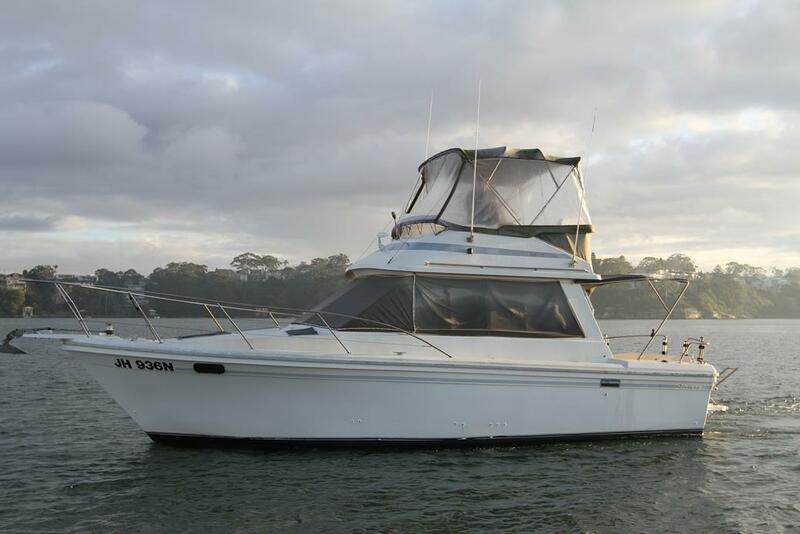 The Riviera 32 has for years been a popular family boat with its spacious saloon layout and twin cabin configuration. 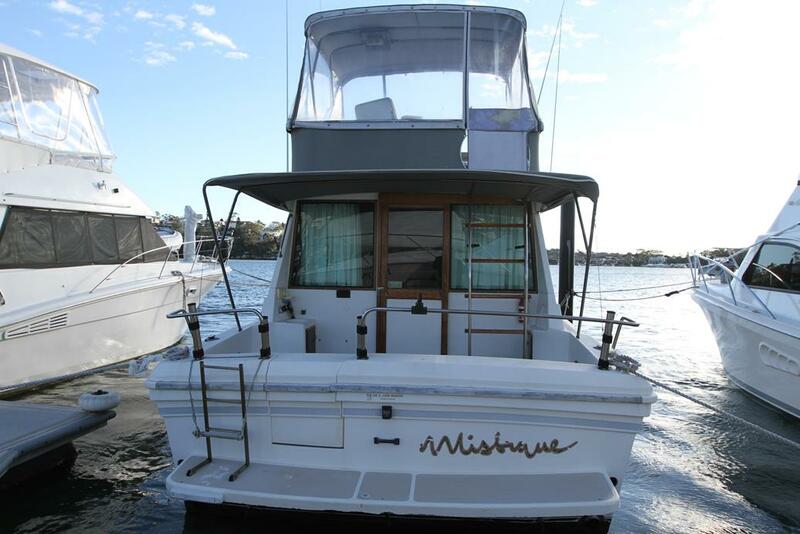 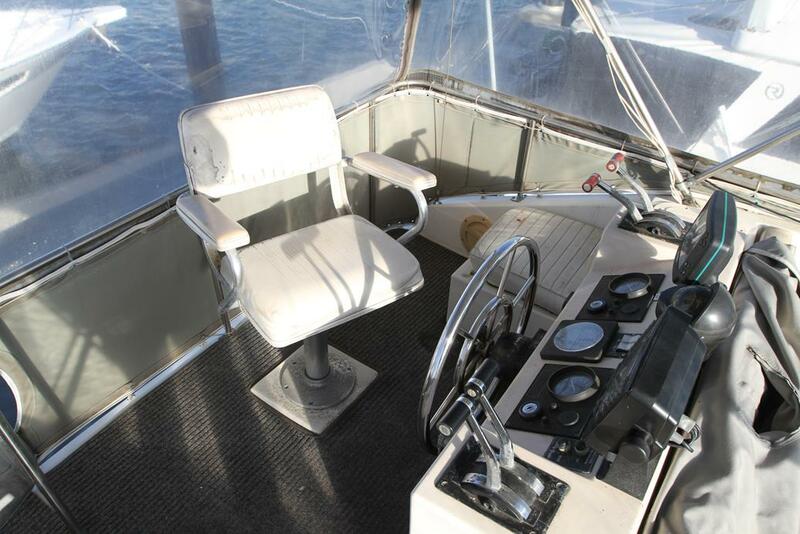 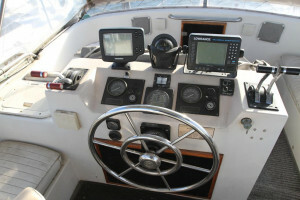 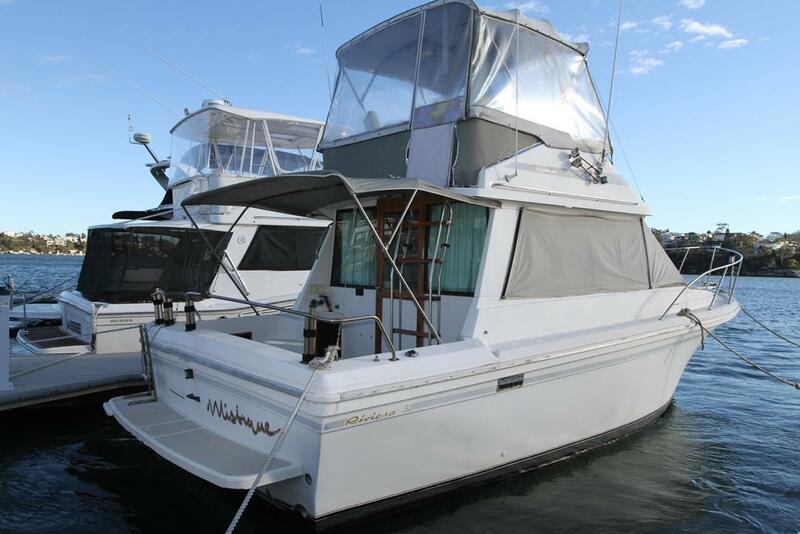 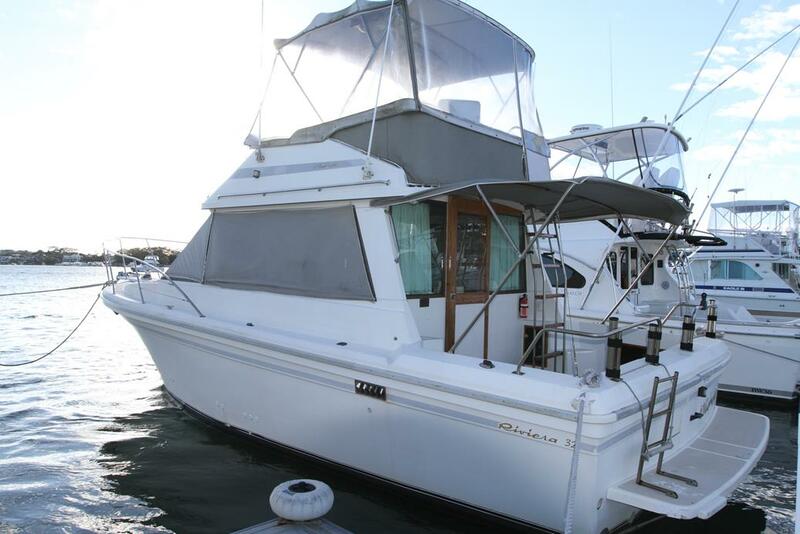 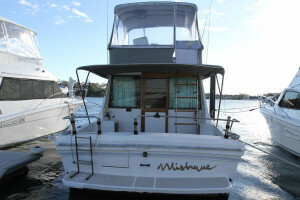 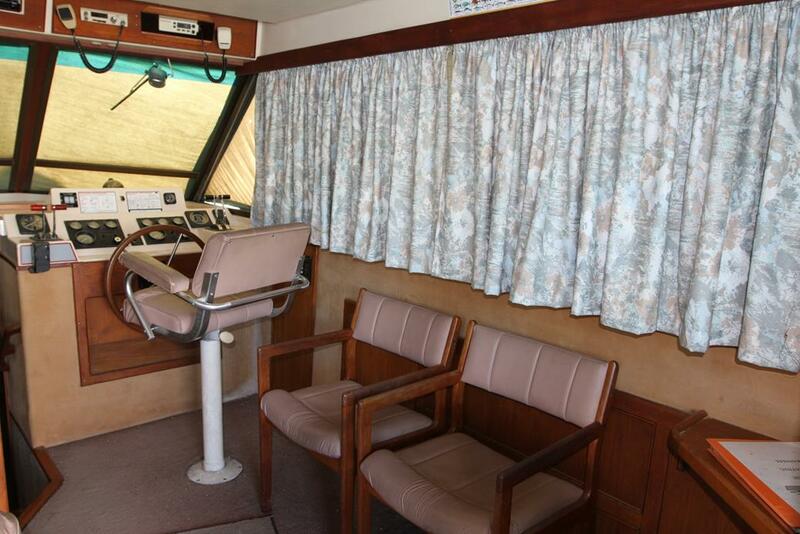 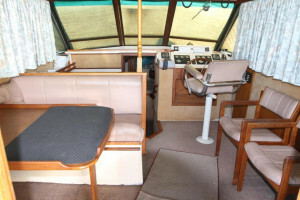 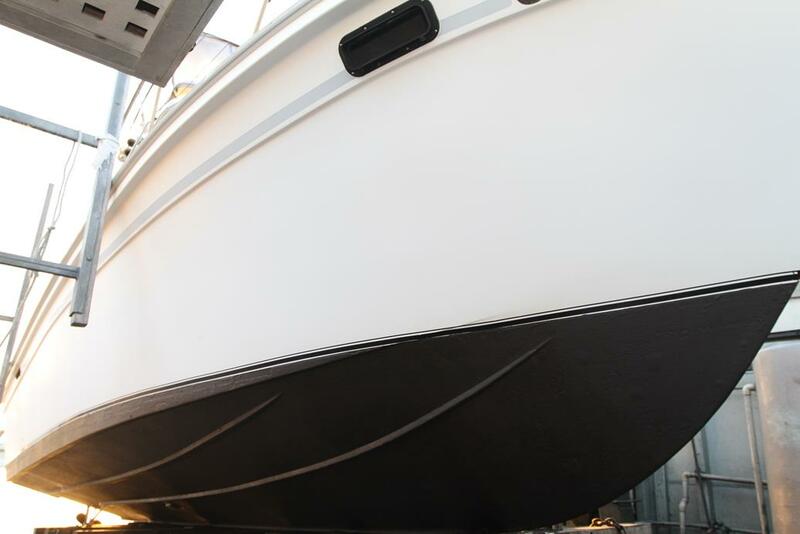 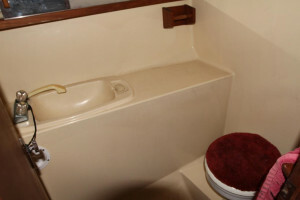 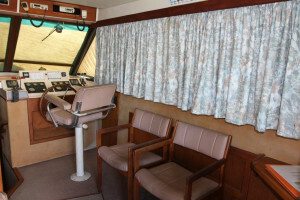 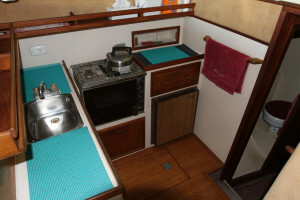 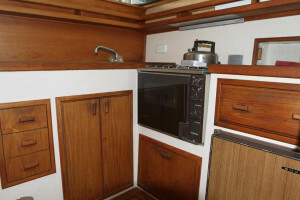 This particular boat is fitted with Bimini top and clears, rear sun awning, Cockpit and flybridge carpet, transom door, Trim tabs, Sounder, GPS chart plotter, 12v fridge, VHF and 27mg radios, stereo and more. 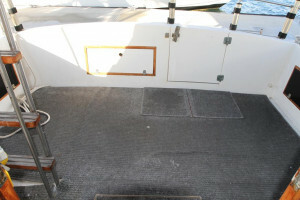 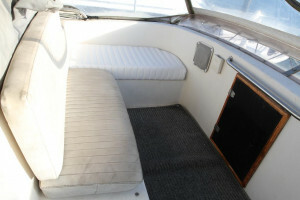 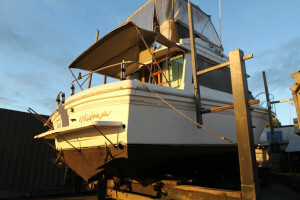 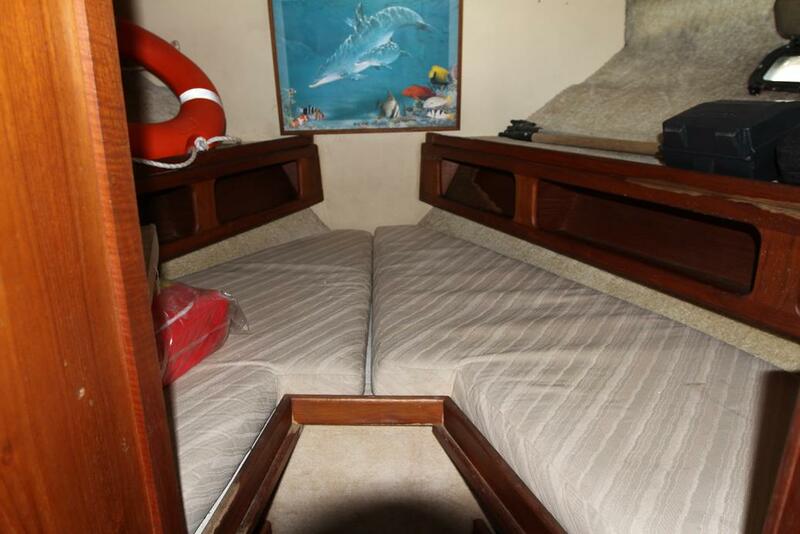 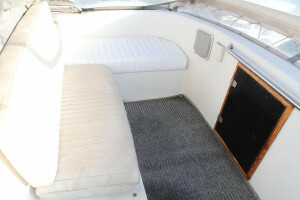 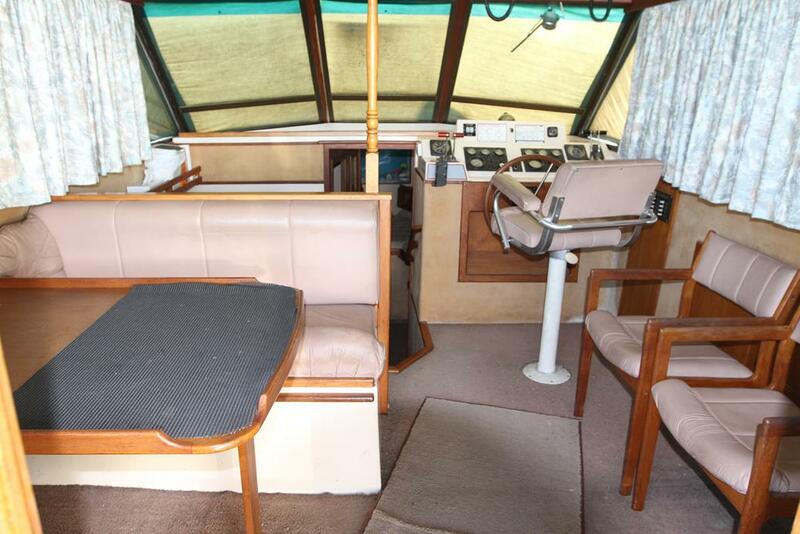 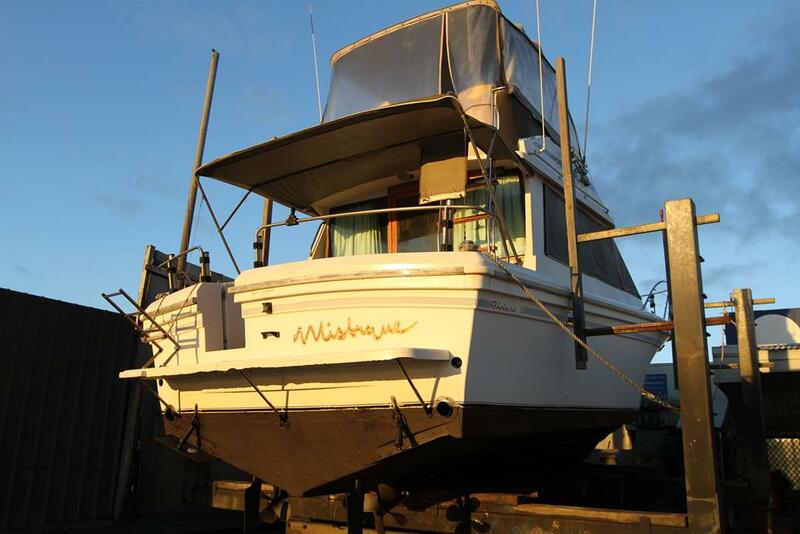 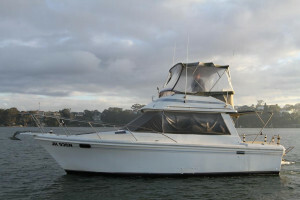 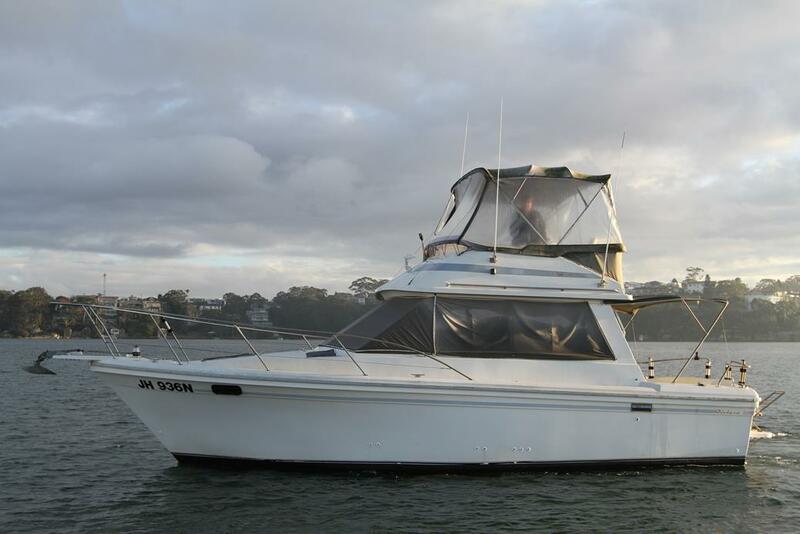 The current owner is aware the boat needs a tidy up and has priced the boat accordingly. It represents great value for a twin shaft driven diesel flybridge cruiser that would make the ideal family weekender. Just slipped and antifouled this month and ready to cruise.